Height: males 22-23 in., females 21-22 in. What is the origin of the Porcelaine? 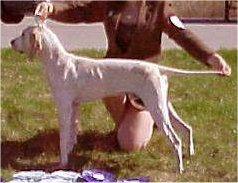 The Porcelaine is believed to be the oldest of all French hounds. Almost extinct during the French Revolution, Swiss breeders recovered the Porcelaine in 1845. The name Porcelaine is a reference to its shiny coat. What does the Porcelaine look like? 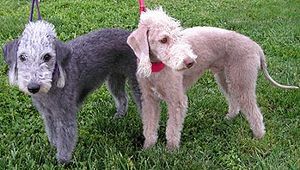 The Porcelaine is an elegant looking dog, males are 22-23 inches tall, females 21-22 inches tall, weight is 55-62 lbs. The forehead is flat. The nose is black. Eyes are round and dark. 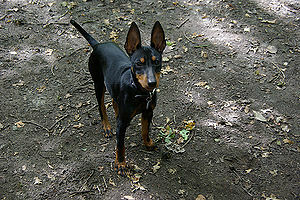 Ears are thin, pointed and hanging. The tail is thick at the base tapering to a point. the coat is very short, fine and shiny. Color is bright white with orange markings especially on the ears. Occasional brushing is all the coat requires. What is the temperament of the Porcelaine? The Porcelaine is a serene dog at home. 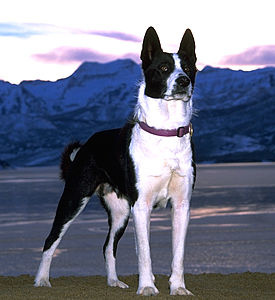 It has an independent nature and early positive obedience training will help avoid bad behavior. Porcelaines are friendly dogs, good with people, children and other dogs. They are not dogs suited to apartment living as they need space to run and hunt. What is the Porcelaine used for? The Porcelaine is used generally in packs for hunting all types of wild game. Porcelaines are very affectionate and make good family companions. No specific known health issues at present.